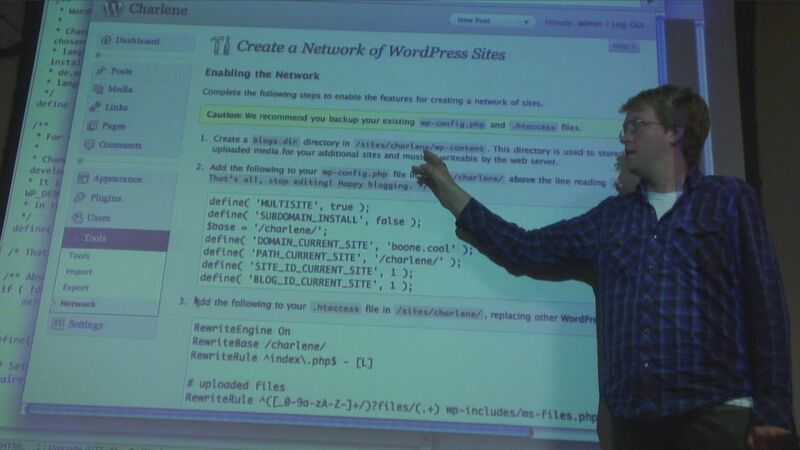 WordPress 3.0: What you need to know. "WordPress 3.0: What you need to know"
With WordPress 3.0 now in its final beta stage there is increasing interest in the programming community as to the innovations involved - thus this edition of the WordPressNYC monthly meetup was well attended. Steve Bruner explained several new aspects of customization via the functions.php file including post types, and also demo'd some new menu tricks, after which Boone Gorges ran the MultiSite capability through its paces, both all the while fielding many queries from the crowd. A DVD of this talk is available free ($5 donation optional) from dvd@isoc-ny.org. Ask for DVD1751.